The Oscar-winning comedian and actor Robin Williams has died at 63, according to police in Marin Northern California home Monday. A statement from the assistant chief deputy coroner of Marin County announced on Monday that the coroner divisions of the sheriff’s office "suspects the death to be a suicide due to asphyxia, but a comprehensive investigation must be completed before a final determination is made." "This morning I lost my husband and my best friend, while the world lost one of its most beloved artists and beautiful human beings,” she said in the statement. “On behalf of Robin’s family, we are asking for privacy during our time of profound grief. As he is remembered, it is our hope that the focus will not be on Robin’s death, but on the countless moments of joy and laughter he gave to millions." The apparent cause of death was suicide by asphyxiation, although an investigation is continuing. Emergency personnel found Mr. Williams inside the house he shared with his wife, Susan Schneider, after a 911 call reported a man unconscious and not breathing. The sheriff's office said Mr. Williams was last seen alive at 10 p.m. on Sunday. In a statement confirming his death, Williams’ publicist said the actor "had been battling severe depression of late." 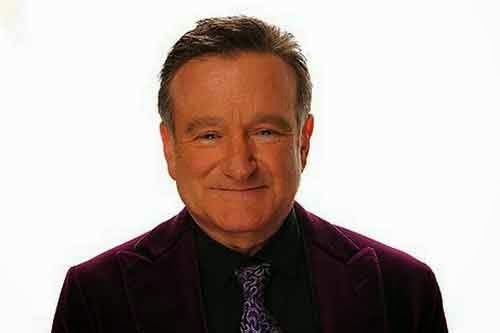 After starting his career in stand-up comedy and bursting into public consciousness in 1978 with the hit television comedy "Mork & Mindy," Mr. Williams built an acting career that included a mix of over-the-top star vehicles like "Mrs. Doubtfire" and "The Birdcage," along with well-received roles in dramas including "Awakenings" and "Insomnia." Comedian Steve Martin tweeted, "I could not be more stunned by the loss of Robin Williams, mensch, great talent, acting partner, genuine soul." Former CNN host Larry King said he would remember Williams as "a genuine caring guy. Not just a funny man, but a guy who cared about people." WIlliams and Dawber reunited on TV earlier this year on an episode of the CBS comedy "The Crazy Ones." Williams' fans can look forward to four more movie appearances coming to theaters, including another installment in the "Night at the Museum" franchise.